If you live in Ohio, skip a few elections, and don't respond to state inquiries, you will be purged from the voting rolls. And the Supreme Court agreed that there's no problem with this. WASHINGTON — The Supreme Court on Monday upheld Ohio’s aggressive efforts to purge its voting rolls. The court ruled that a state may kick people off the rolls if they skip a few elections and fail to respond to a notice from state election officials. The vote was 5 to 4, with the more conservative justices in the majority. The case concerned Larry Harmon, a software engineer and Navy veteran who lives near Akron, Ohio. He voted in the 2004 and 2008 presidential elections but did not vote in 2012, saying he was unimpressed by the candidates. He also sat out the midterm elections in 2010 and 2014. But in 2015, Mr. Harmon did want to vote against a ballot initiative to legalize marijuana and found that his name had been stricken from the voting rolls. 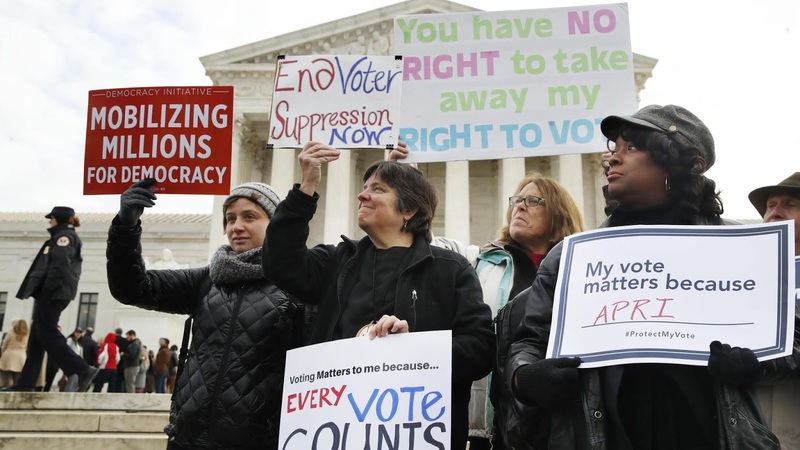 Ohio is the only state that commences such a process based on the failure to vote in a single federal election cycle,” said a brief from the League of Women Voters and the Brennan Center for Justice. “Literally every other state uses a different, and more voter-protective, practice.” The United States Court of Appeals for the Sixth Circuit, in Cincinnati, ruled in favor of Mr. Harmon in 2016, saying that Ohio had violated the National Voter Registration Act of 1993 by using the failure to vote as a “trigger” for sending the notices. Ohio is more aggressive than any other state in purging its voter rolls. After skipping a single federal election cycle, voters are sent a notice. If they fail to respond and do not vote in the next four years, their names are purged from the rolls. A few other states use similar approaches, but not one of them moves as fast. Justice Samuel Alito wrote the majority opinion, noting right off the bat that an estimated one in eight voter registrations in the United States are invalid or inaccurate. He said failing to vote cannot be the sole reason for purging voters but noted that Ohio "removes registrants only if they have failed to vote and have failed to respond to a notice." "A state violates the failure-to-vote clause only if it removes registrants for no reason other than their failure to vote," Alito said. By contrast, he said, Ohio waits six years before removal, following federal law "to the letter." Justice Stephen Breyer penned an 18-page dissent for the liberal wing of the court, marking the sixth time this term they have dissented as a bloc. He noted that most voters simply ignore the warning notices, leaving their failure to vote as the principal cause for being purged from the rolls. "More often than not, the state fails to receive anything back from the registrant, and the fact that the state hears nothing from the registrant essentially proves nothing at all," Breyer said. The question for the court was whether failing to vote could be the initial trigger leading to removal. The U.S. Court of Appeals for the 6th Circuit in 2016 said no, which restored the votes of 7,515 Ohioans. 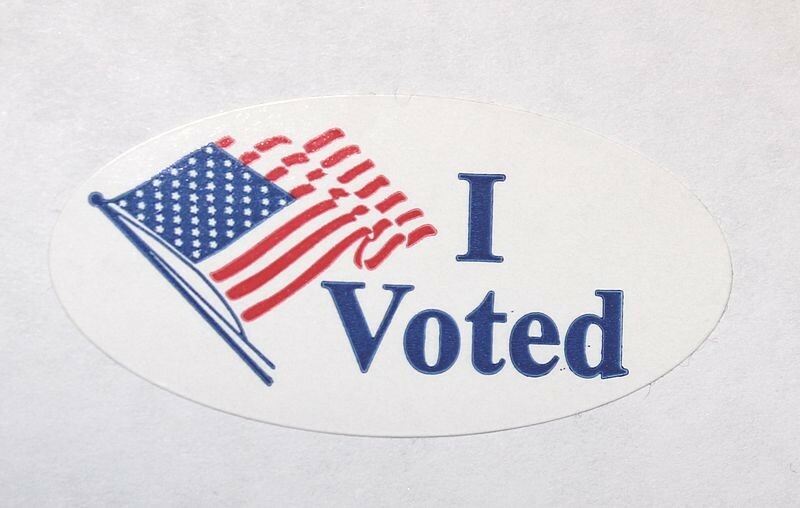 You may have the right to vote but there's not always the same duty for the state to make it easy for you to do so. To the extent that lower voter turnout matters, it generally helps incumbents and Republicans. So people who want to make changes will usually need to bring more voters out for the election. This means that it won't just be enough to demonize describe Republicans. Democrats will have to make sure that voters and would be voters are aware of all of the rules in their state and district, whether it's voter purges because you skipped an election, last minute changes in poll location, or other tricks which are generally employed to make people skip voting. This is going to be an ongoing battle across the United States. One way to fix this problem would be of course to automatically register US citizens to vote at eighteen and thus remove many of the hoops to registration. There are other ideas. But the critical thing is that everyone be aware of their local rules.